Late in the twentieth century, in response to horrific atrocities igniting increasingly around the world, more than 60 countries united to launch the International Criminal Court (ICC) the first permanent home for prosecuting perpetrators (no matter how powerful) of crimes against humanity, war crimes, and genocide.Pamela Yates's The Reckoning follows charismatic ICC prosecutor Luis Moreno-Ocampo for three years across four continents as he and his team tirelessly issue arrest warrants for Lord's Resistance Army leaders in Uganda, put Congolese warlords on trial, challenge the U.N. Security Council to help indict Sudan's president for the Darfur massacres, and shake up the Colombian justice system. As you can imagine, building cases against genocidal criminals is no cakewalk. Moreno-Ocampo has a mandate but no police force. At every turn, he must pressure the international community to muster political clout for the cause. Like a deft thriller, The Reckoning keeps you on the edge of your seat, in this case with two riveting dramas the prosecution of unspeakable crimes and the ICC's fight for efficacy in its nascent years. As this tiny court in The Hague struggles to change the world and forge a new paradigm for justice, innocent victims suffer and wait. Will Moreno-Ocampo succeed? Will the world ensure that justice prevails? 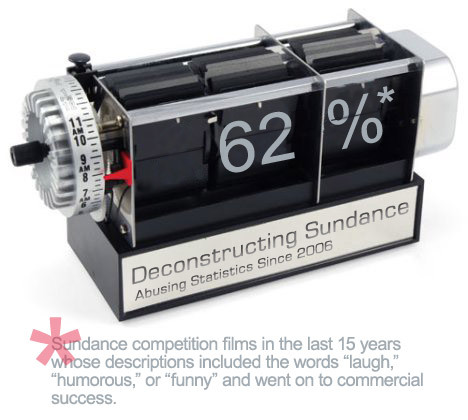 Sundance Film Descriptions copyright � 1996–2009, Sundance Institute, Inc. Predictions and regression data copyright � 2009, Unspam Technologies, Inc. This site is not affiliated with nor endorsed by the Sundance Film Festival or the Sundance Institute.